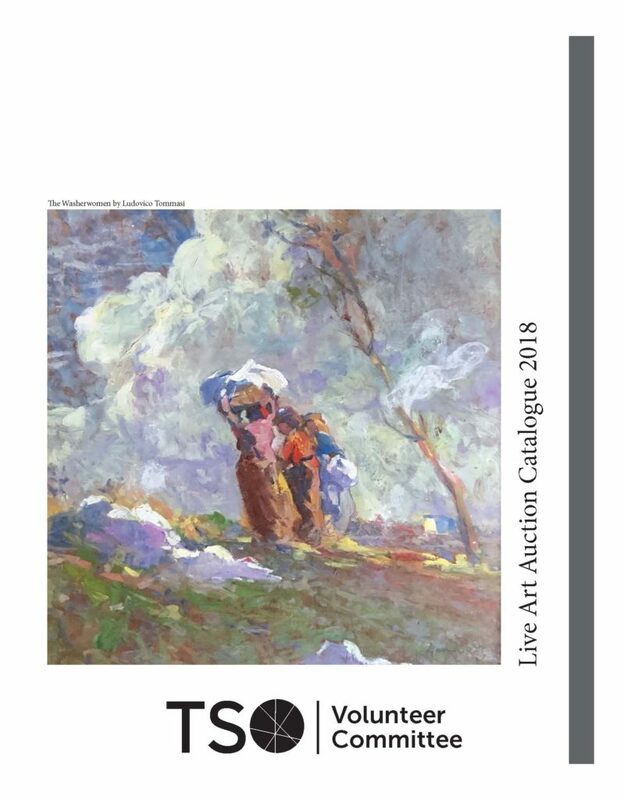 The Toronto Symphony Volunteer Committee is holding an art auction fundraiser in support of the Toronto Symphony Orchestra and the Toronto Symphony Youth Orchestra. 2018 Art Auction Catalogue – Click above image to view/download the catalogue. Silent Auction and Absentee Bids close at 1:00 pm on Sunday, May 27, 2018. Auctioneer: Stephen Ranger, an industry leader and Canada’s most sought-after and experienced auctioneer. Absentee/telephone bidding – Advance (absentee/telephone) bids may be submitted in writing by noon on Friday, May 25, 2018. Bidders may then submit advance bids at the auction previews May 25-27. Please complete and submit the 2018 Art Auction – Absentee Bid Form or register/submit your bids online below. There is no HST or buyer’s premium. All bidders must register either online, by phone 416.593.7769 X 358, or at the door. To register online, please complete the Online Bidder Registration form below. There is no charge to register to bid at the auction or to attend the May 26 Preview or May 27 Preview/Live Auction. PLEASE PROVIDE THE PHONE NUMBER THAT YOU CAN BE REACHED AT DURING THE LIVE AUCTION AT 1:30 PM ON SUNDAY, MAY 27, 2018. For Absentee/Telephone Bidders ONLY - Please list the lot number(s) and maximum bid(s) for the lot(s) you wish to bid on, and indicate if your lot(s) is a Live Auction or Silent Auction lot. Please list any special instructions under the comments section below. The Toronto Symphony Volunteer Committee thanks our donors for their generosity and support of the 2018 Fine Art Auction. Funds raised will support tuition-free enrollment for members of the Toronto Symphony Youth Orchestra (TSYO). The TSYO is one of Canada’s largest youth orchestras, and for more than 40 years has been dedicated to providing a high-level orchestral experience for talented young people aged 22 and under. 2015-2016 marked the first season that the TSO offered tuition-free enrollment to all TSYO members on a scholarship. A look back at our 2016 Auction!